Grand Valley State University (GVSU) is a public university in Allendale, Michigan. Undergraduate enrollment is around 21,700. GVSU Campus Recreation is a department of thirteen professional and over 150 student staff. A recent success and ongoing pursuit of the department is Unplugged, a campaign focused on spending less time with technology and more time engaged in real-life experiences. Learn more about GVSU’s success from Kayla Cupples, Assistant Director of Marketing at GVSU Campus Recreation, responsible for marketing and special events. 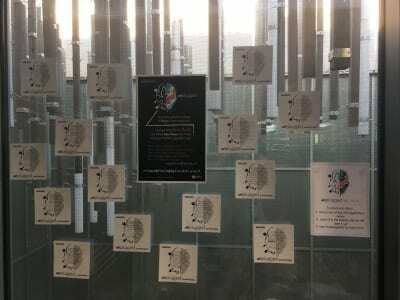 Kayla initiated the Unplugged campaign on GVSU’s campus in October 2018 and plans to revive efforts in March, for the National Day of Unplugging. Kayla’s responses are in italics below. The Unplugged campaign is intended to help the campus community–students, faculty, staff–become more aware of the time and energy spent on their devices, with the goal of making us more connected to the people and world around us. In addition, Campus Recreation wants others to better balance that time with exercising, having meaningful conversations, spending time outdoors, playing sports, or anything else that enhances their overall health and wellbeing. Overall, it was intended to drive awareness around this topic. Social media is often used to spread the word about campus recreation’s services and programs. With the focus of this campaign, how did you share the message without contradicting it? We recognize that technology is extremely beneficial, has helped us connect in ways we never have before, and has also made our lives much simpler. However, we also want the campus community to understand the negative impacts that overuse can have on our health, relationships, and overall wellbeing. ‘Unplugged’ likely means something different for everyone. Whether it’s putting away the phone, avoiding email during dinner, or simply spending less time on social media, the campaign can uniquely meet people where they are. That being said, we didn’t (and don’t in the future) anticipate or expect that anyone will completely leave technology behind, particularly given how it’s drastically changed the way we work and live. Instead, we focused on driving awareness to the topic, allowing individuals to understand what ‘unplugging’ means specifically for them. In addition to flyers, story cards, stickers, and tabling events, we did use social media to promote this campaign; however, we did so with limitations. For instance, everything posted on social media during the two weeks of the campaign was scheduled ahead of time, and we let our social media communities know that (see screenshot below). The campaign promoted the programs, services, or events that all Campus Recreation program areas–Fitness & Wellness, Intramural Sports & Club Sports, Outdoor Adventures–and partners already had planned, along with facts and participant stories gathered prior to the campaign period. We also used our department golf cart and tabling events to interact directly with students, capture their stories, distribute prizes, and ultimately, share what we offer. With whom did you partner on campus for Unplugged? How did you come across these partnerships? Last semester, we partnered with Campus Dining, the Gayle R. Davis Center for Women and Gender Equity, University Counseling Center, the Milton E. Ford LGBT Resource Center, Human Resources, University Libraries, the Office of Multicultural Affairs, the Office of Sustainability, and the Office of Student Life. For some, we reached out directly. For others, they found out about the campaign through regular conversations and reached out to get involved. We anticipate working with additional campus departments for the upcoming events in February/March 2019. How did the program affect the culture of your staff? The GVSU Campus Recreation marketing team, consisting of myself and four student staff, took a break from social media during the campaign (sounds crazy, I know 🙂). For most of us personally, we realized how much of an addiction it can be and reassessed if the time spent ‘plugged in’ was valuable to us. Being more mindful has definitely increased productivity and mental wellbeing. It allowed us to focus on other tasks and connect more with each other and our audiences, in person. In my opinion, as a supervisor, it helped our staff grow and better understand the value of face-to-face conversations. We also received positive feedback from student staff in other program areas, indicating their agreement and excitement around this conversation, especially when we translate that directly into getting more students involved with recreation programs, services, events, or spaces. The website also features stories about why students, faculty, and staff unplug (outside of the nearly 100 that we gathered from face-to-face interactions and events, which were captured in photos). What was the response of the students? Since our goal was to create awareness around the use of technology and social media, there were no hard results to measure. However, a survey also allowed us to gather feedback from participants and participating departments. One respondent stated, ‘I learned about healthy outlets that are positive and effective,’ while another stated, ‘I learned how holistic Campus Recreation is in the services and benefits it offers to the campus community.’ In addition, the Grand Valley Lanthorn, a student-run newspaper, published an article in the midst of the two-week campaign period. Many students were eager to tell us why or how they unplug, so we took that as a positive sign! How do you see the campaign growing in the future? This awareness campaign is intended to continue each semester with the long-term goal of highlighting the importance of recreation and connecting it to student wellness and retention. What are your plans for the campaign in March? 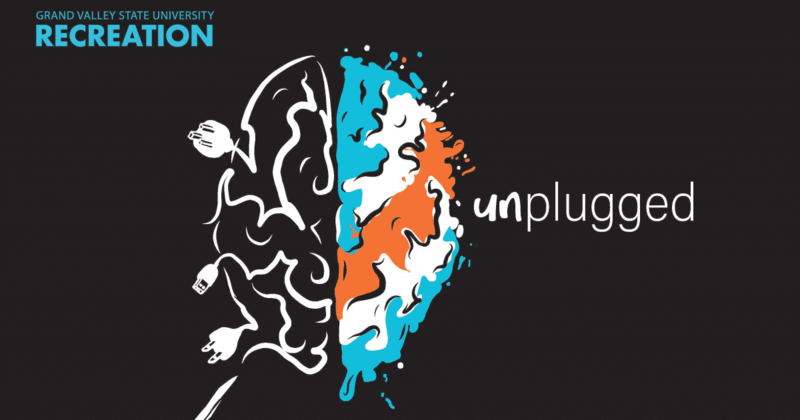 Unplugged 2019, taking place from February 24 through March 2, is consistent with the National Day of Unplugging and will feature similar aspects, including event promotion, print and digital outreach, face-to-face interaction with students, and storytelling. We will also use last semester’s survey feedback to identify areas for improvement as needed. As mentioned, we’ve gathered a variety of stories about how and why individuals unplug, and we are continuing to listen around campus. We’re looking forward to hearing more impactful stories, both during this semester’s campaign period and throughout this year, hoping that peer-to-peer engagement will assist in growing the conversation. 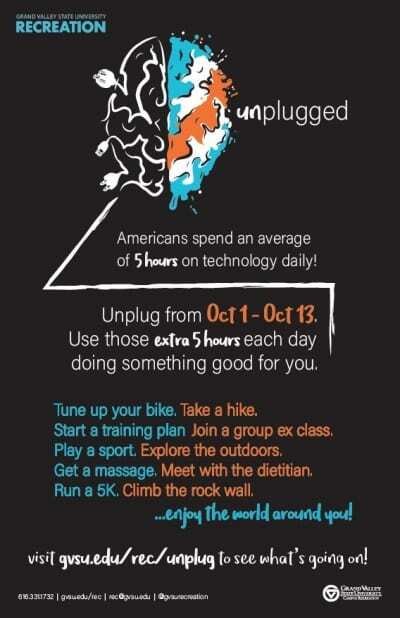 The National Day of Unplugging is sundown to sundown March 1-2, 2019. You can learn more about GVSU’s plans for the upcoming event by visiting their website here or contacting Kayla directly at cupples1@gvsu.edu. 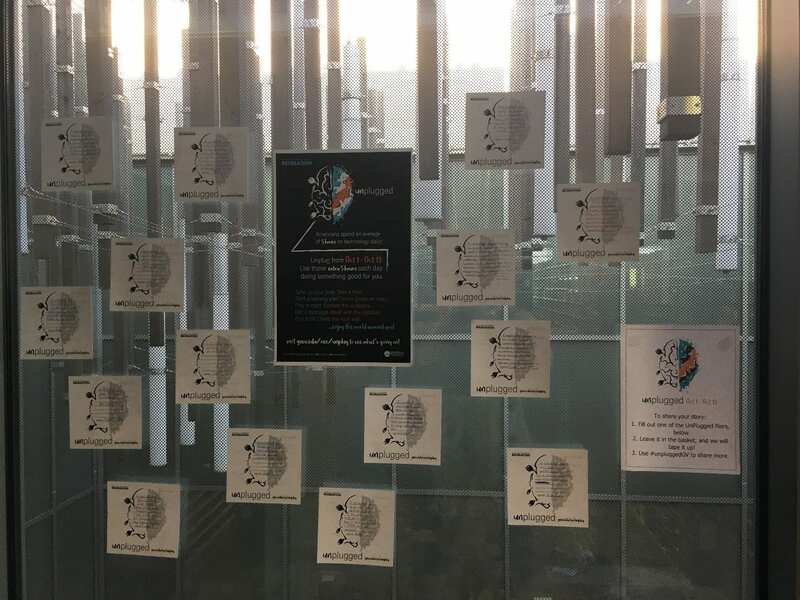 (The photo above is) of story cards we had placed at all locations of campus partners to help gather stories, intended to show a point of connection across campus. Again, we tried to incorporate high impact, low work type activities.